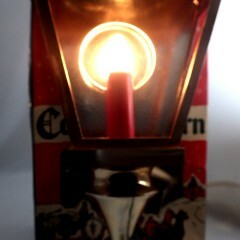 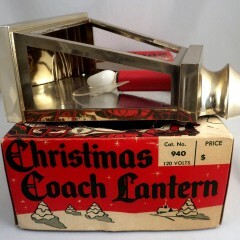 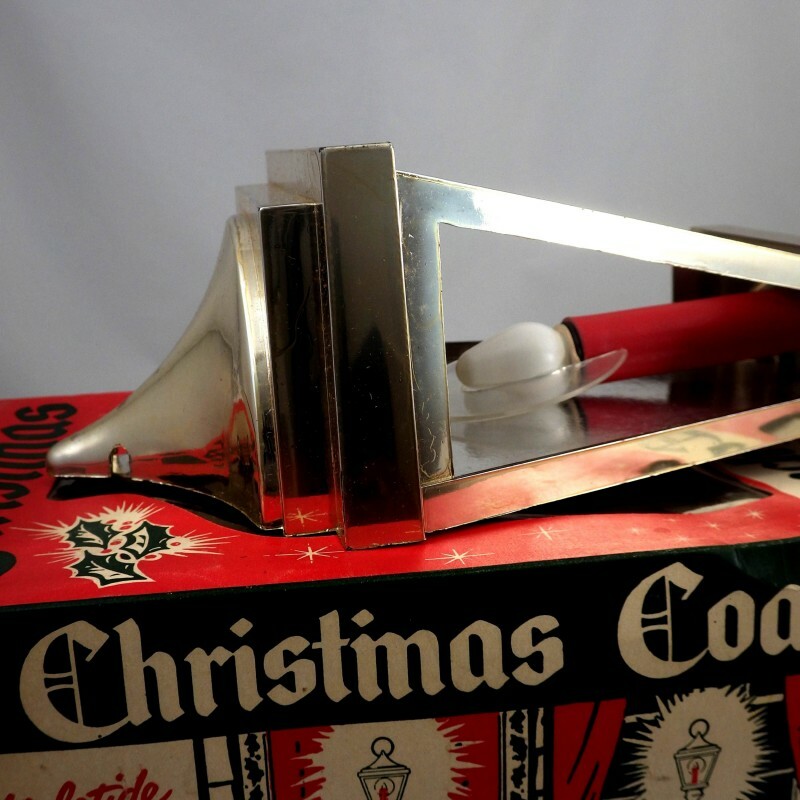 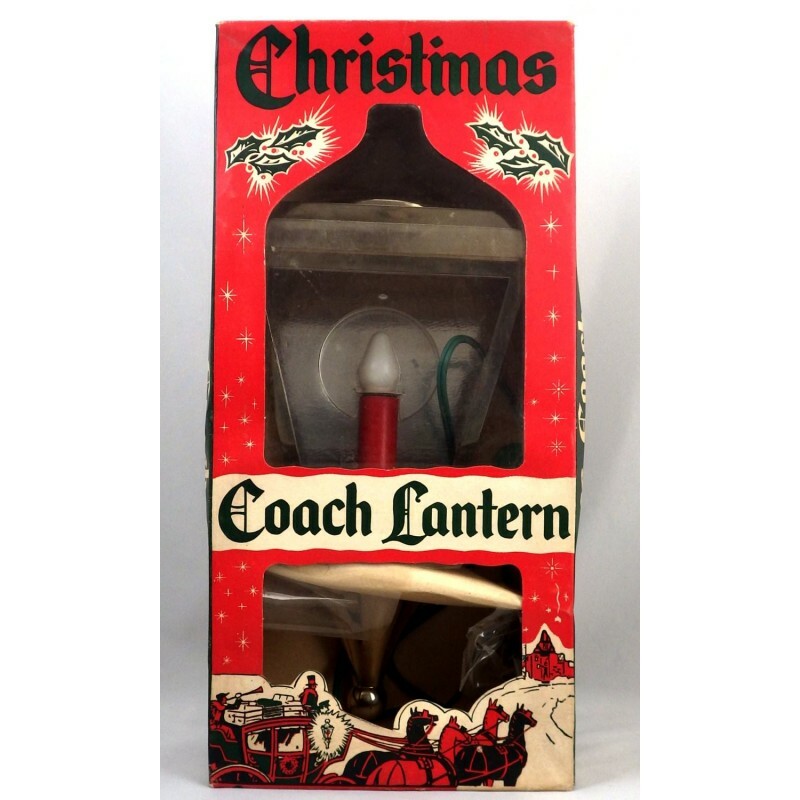 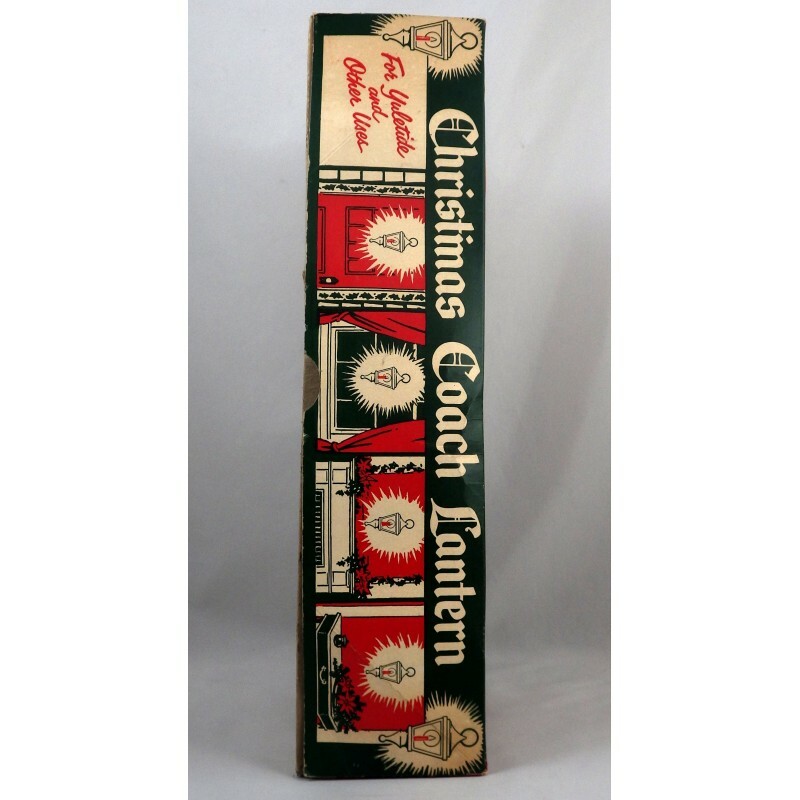 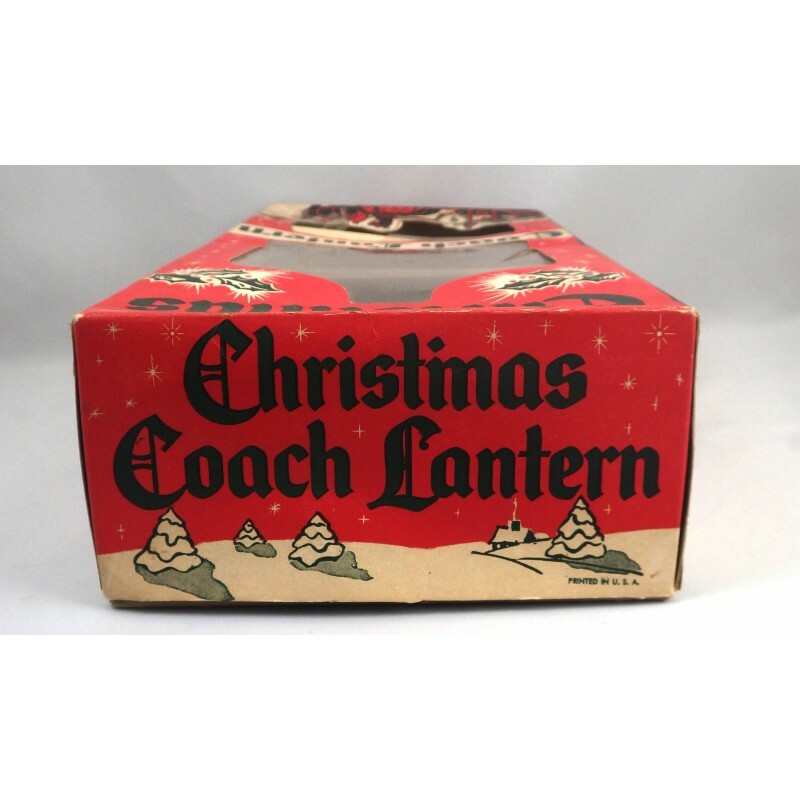 Vintage Christmas coach stagecoach lantern hanging light with plastic frame and foiled cardboard backboard behind the light to provide a reflective look. 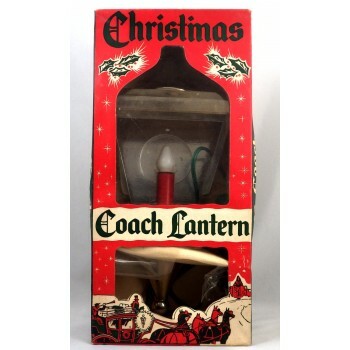 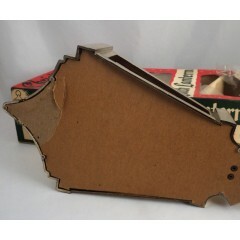 Previously used but in good working condition, still in the box. 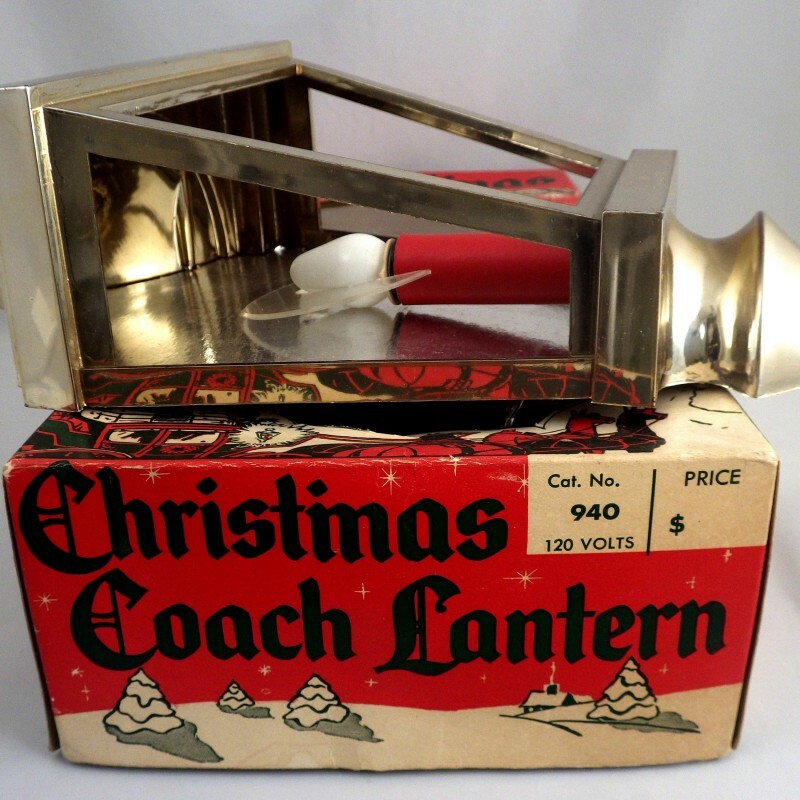 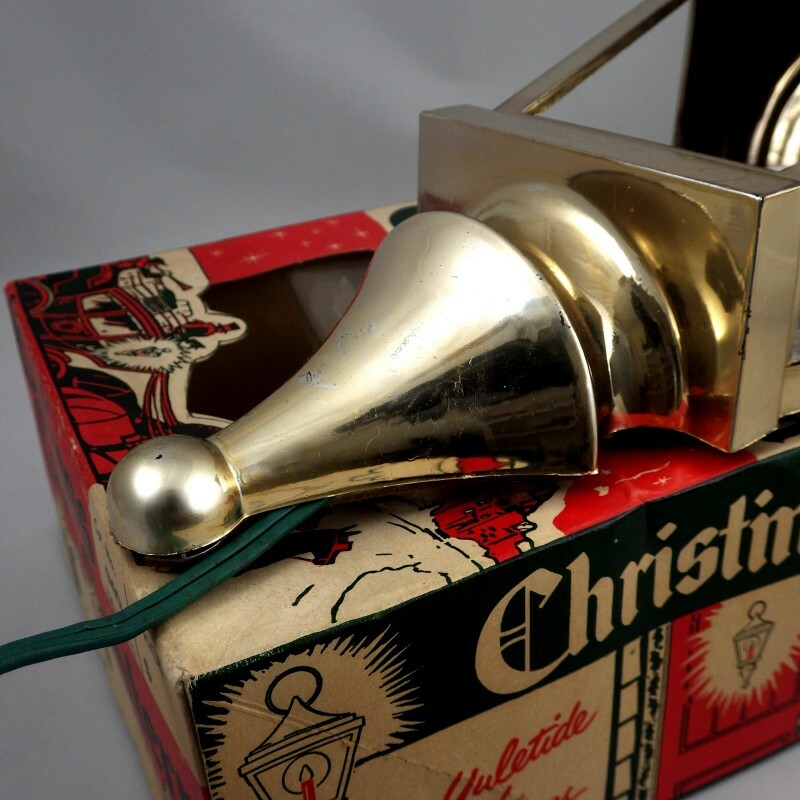 The base of the light has a few superficial scratches and wear in the gold-tone plastic finish, and there is a torn plastic window to the box (not the light; the light has no side panels). Light measures 13-1/2 inch long, point to point, and 6-3/8 inch wide at the top, and 3-1/2 inch deep, with a cord approx. 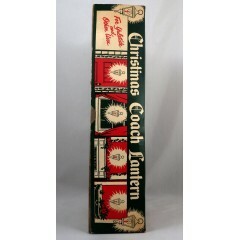 3-1/2 feet long. 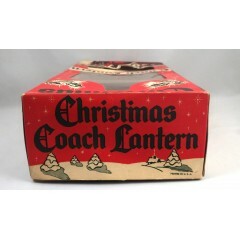 Likely dates to the 1950s to early 1960s.